The kitchen in this Villager floor plan has every detail that you've seen in the magazines and have always wanted but never thought you could afford. Every detail is here, from the ogee edge sculpted granite counter tops to the fabulous details of furniture legs, corbels, glass doors and other custom cabinet features. This custom built kitchen is just loaded with details you rarely see. You'll want to open every dovetail, easy close drawer and open the doors on the bar that hide all your favorite cooking tools and precious dishes. The vaulted ceiling living room that is open to the kitchen, dining room and Florida Room is bright and light yet cozy and warm too. The baths also have solid wood cabinetry and solid surface counter tops and comfort height toilets. The huge lanai is beautifully tiled and inviting and overlooks the private Caloosa Country Club Golf Course. The lanai roof is high which makes it cooler in warmer weather too. 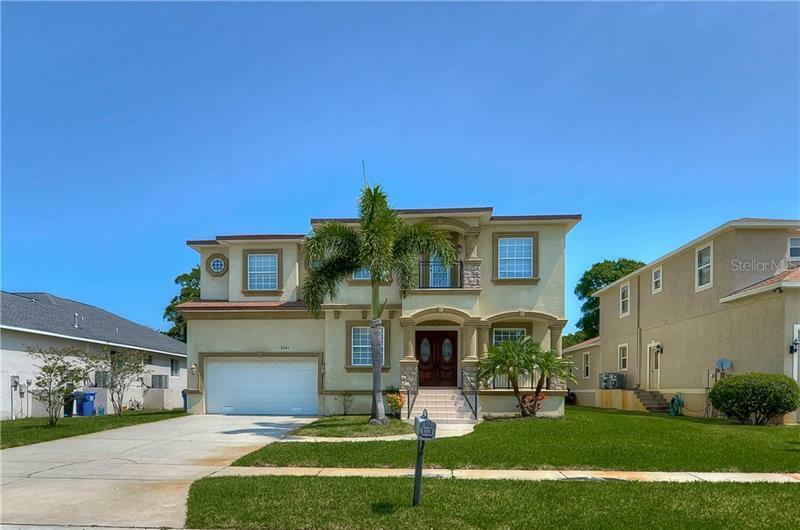 This home has been re-piped, has a 2017 air handler, 4 yr old stainless steel appliances, plantation shutters, newer baseboards and interior trim, glass front door, a new paver driveway and walkway. The exterior of the home and the garage floor were painted in 2018 as well. This home has been cherished and upgraded inside and out. Plus, it's in the popular Caloosa Country Club Estates Association which has low yearly dues of only $76.00 / home/year in addition to the $288.00/person/yr. All this in popular Sun City Center!